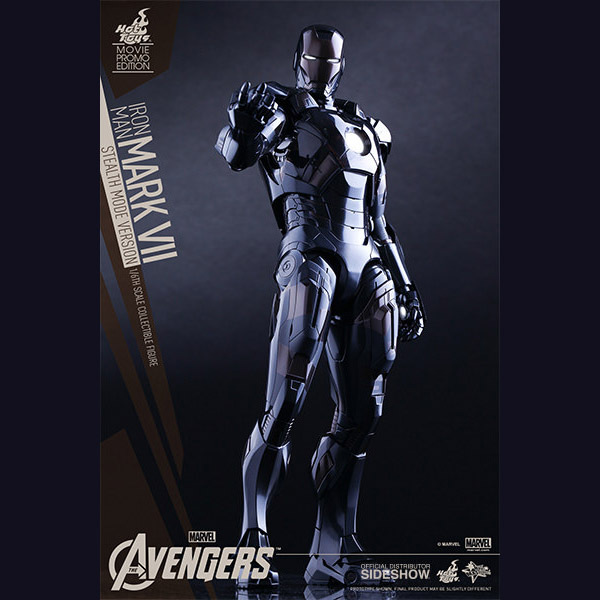 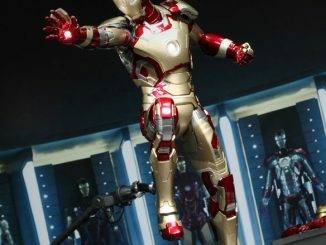 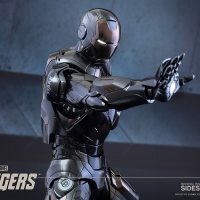 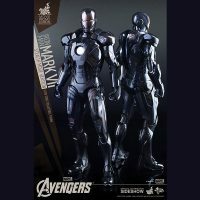 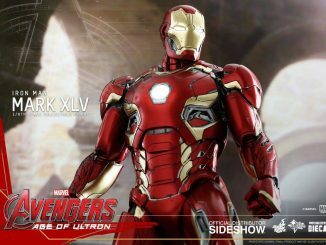 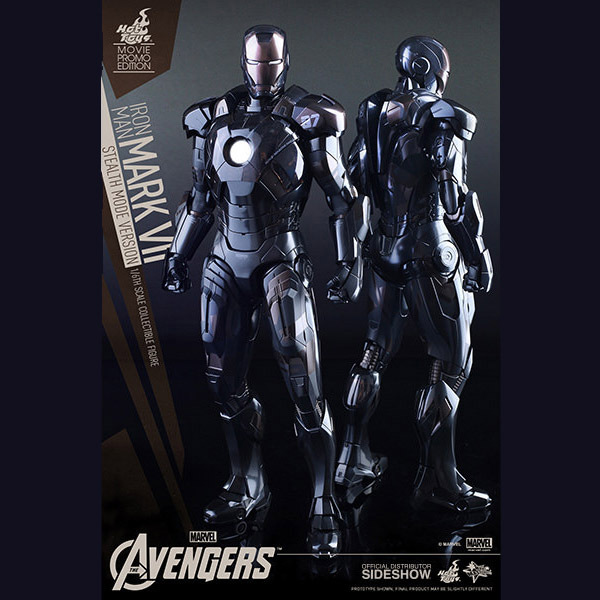 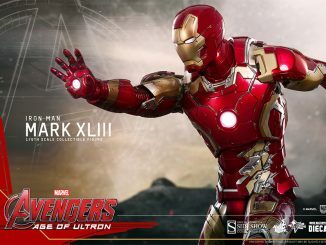 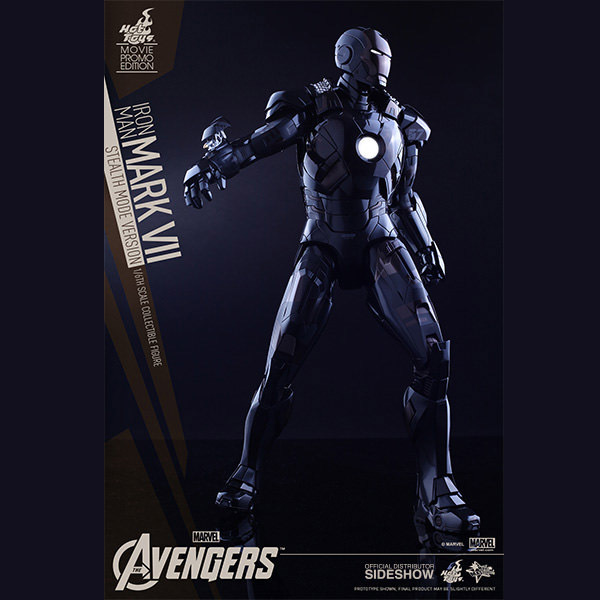 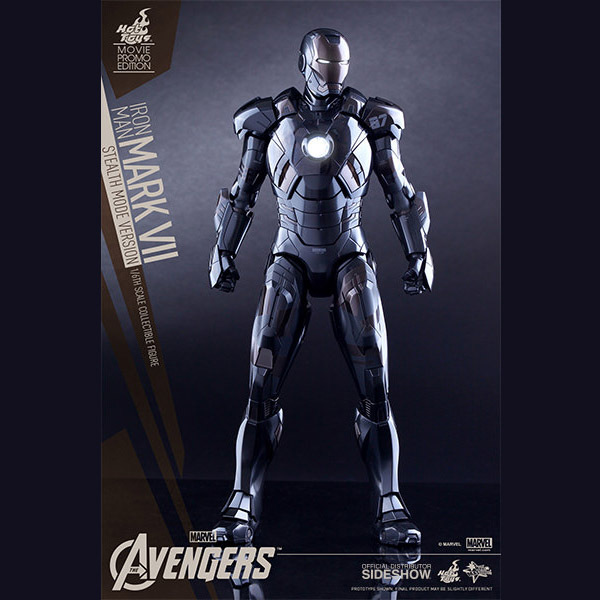 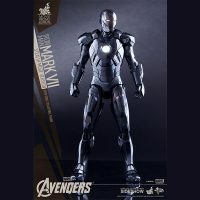 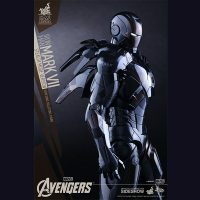 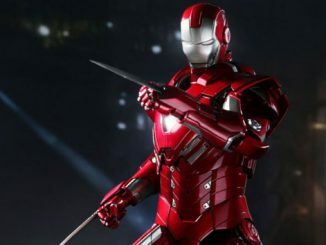 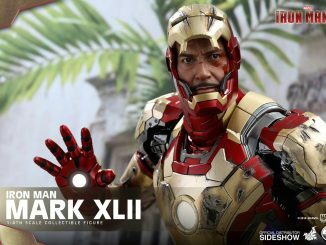 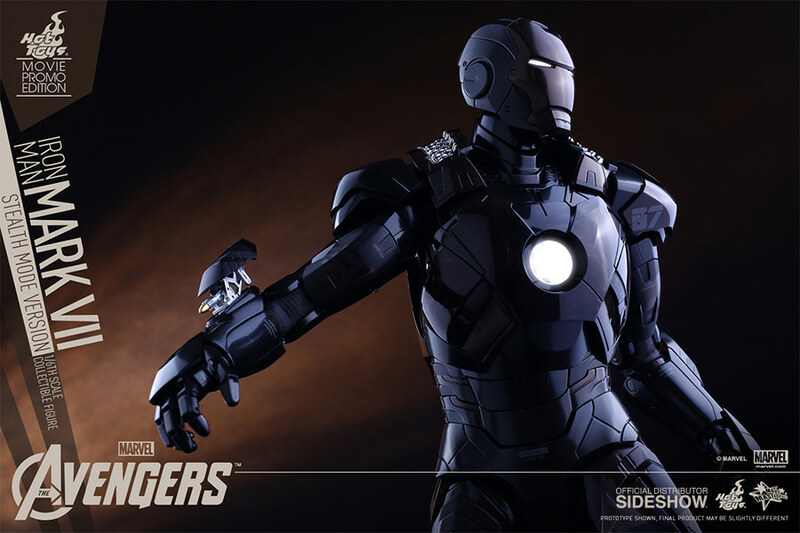 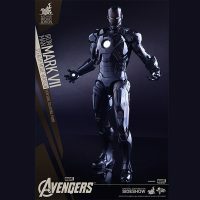 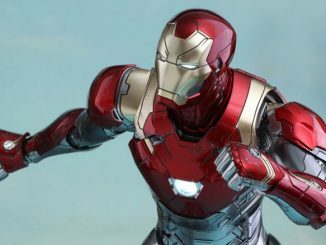 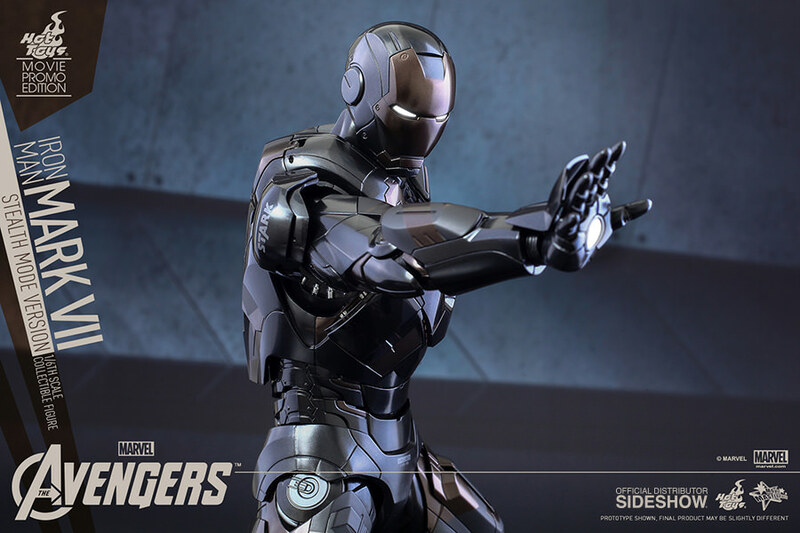 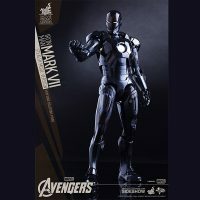 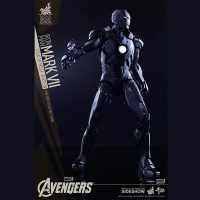 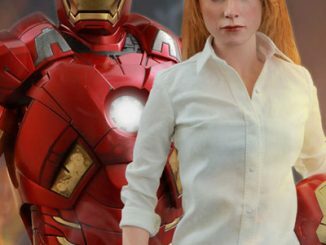 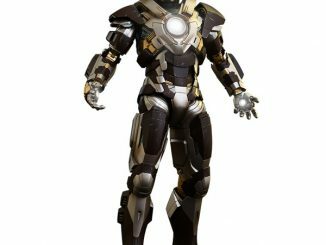 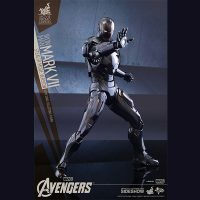 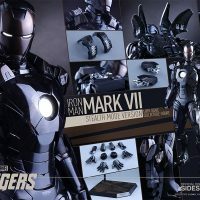 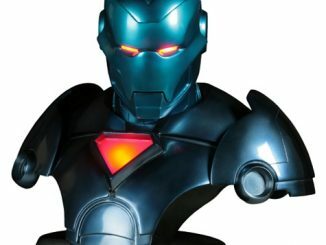 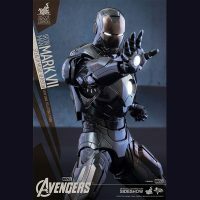 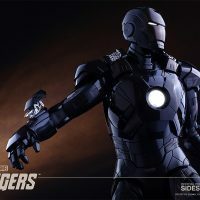 Tony Stark usually enjoys the spotlight, grabbing attention whenever he can, but sometimes he prefers a low-key approach, which is where the hi-tech suit of the Iron Man Mark VII (Stealth Mode Version) Sixth-Scale Figure comes in. 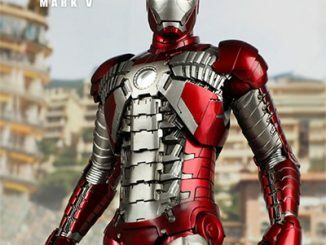 No, this isn’t another suit from the House Party scene of Iron Man 3. 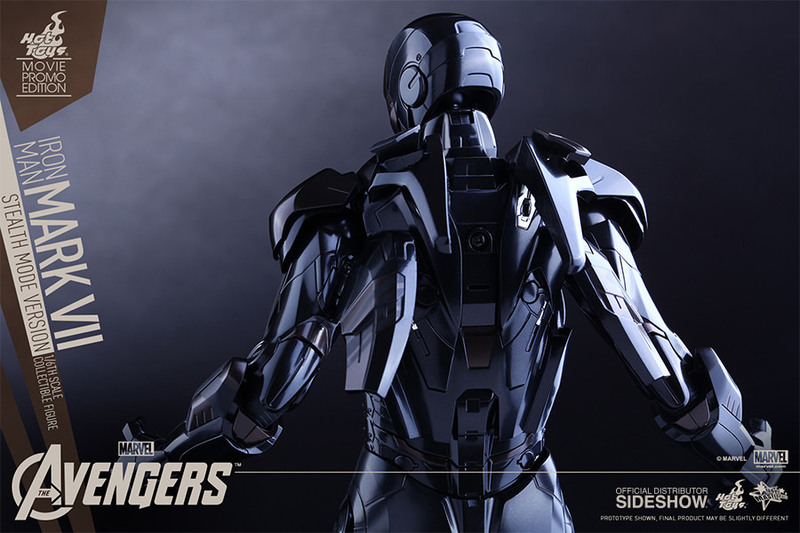 This is a brand-new bit of Avengers awesomeness that appears in Age of Ultron. 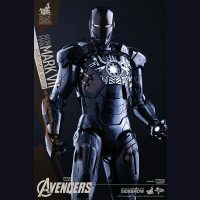 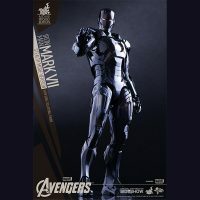 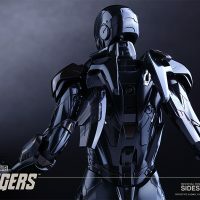 The figure features various shades of metallic and matte black color with digital camouflage design, and comes with accessories that include interchangeable forearm rockets, air flaps on the back of the armor, and removable chest armor. 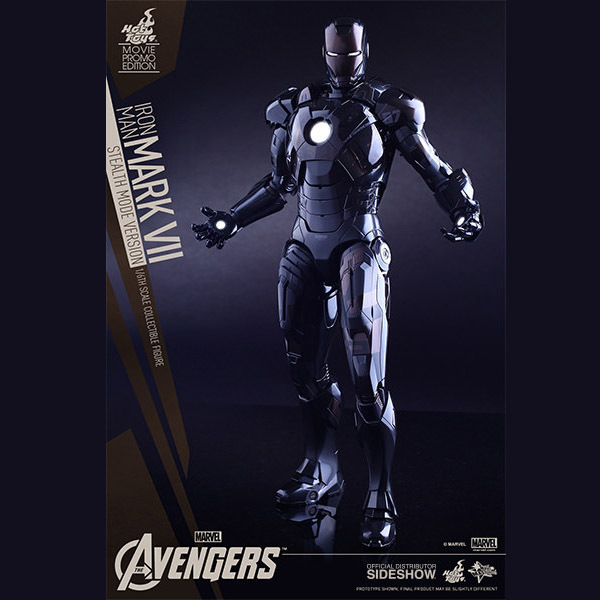 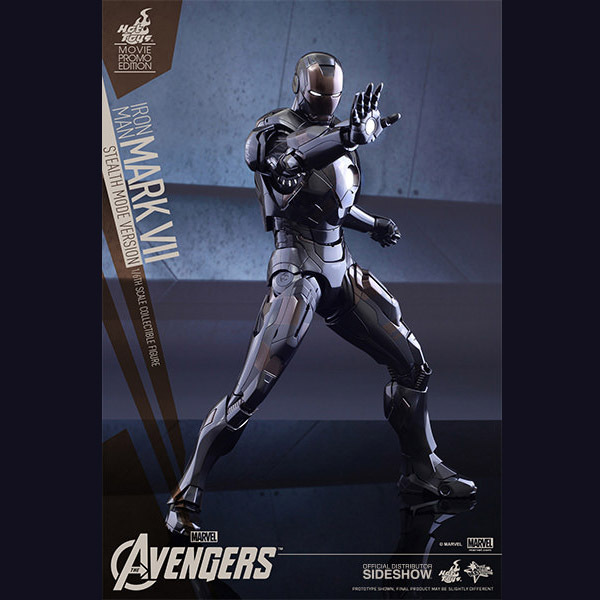 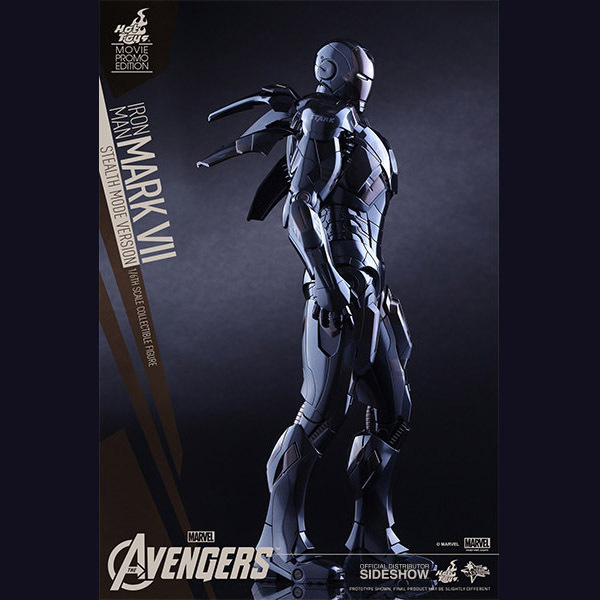 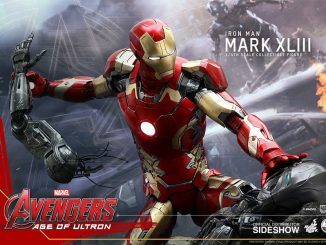 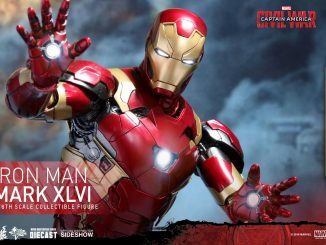 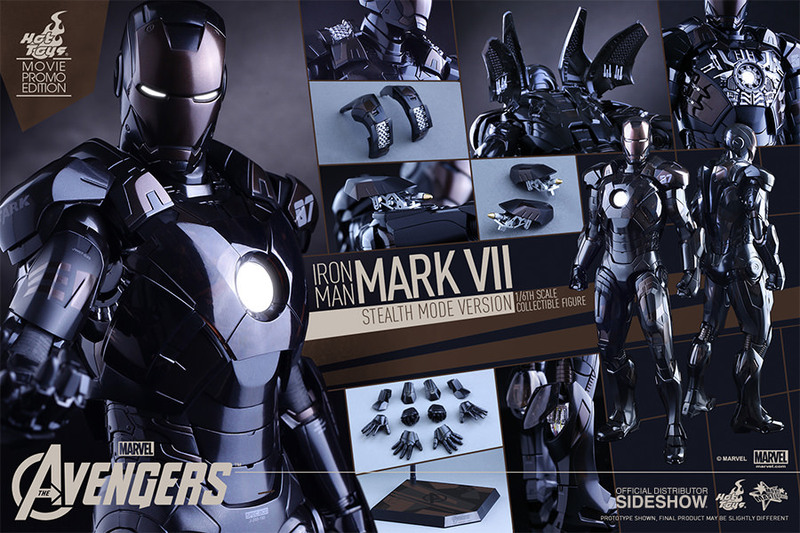 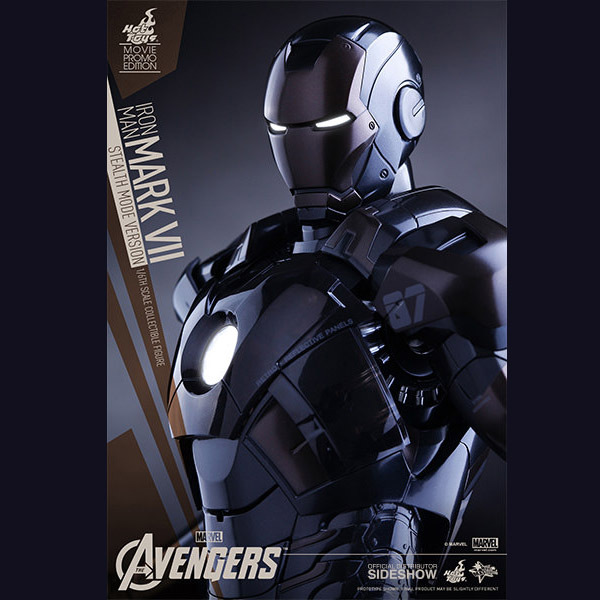 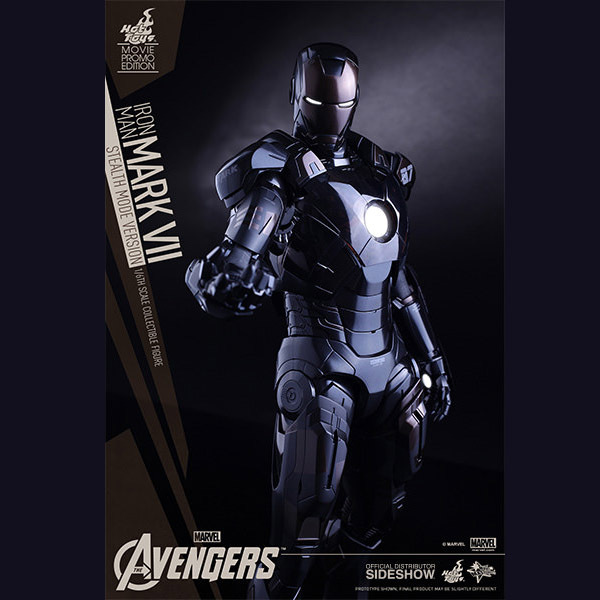 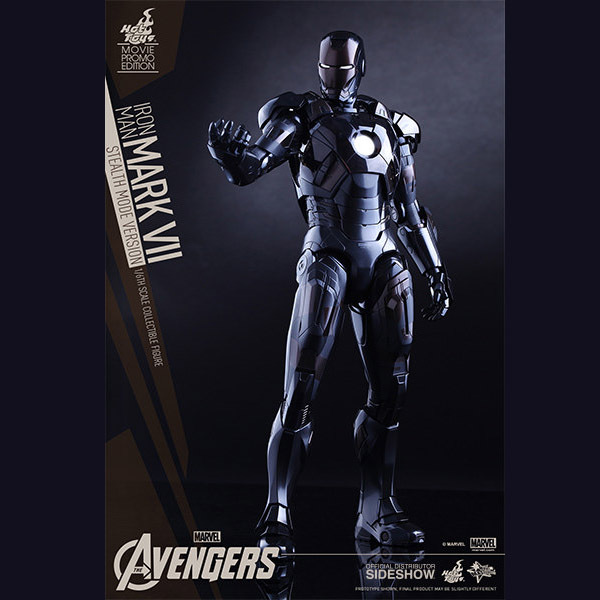 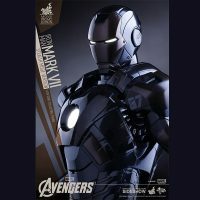 The Iron Man Mark VII (Stealth Mode Version) Sixth-Scale Figure will be available Sep 2015 – Nov 2015 for $339.99 at Sideshow Collectibles. 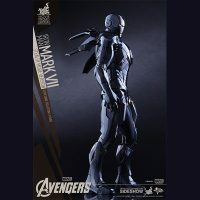 It’s not up for pre-order right now but you can be put on the Waitlist to make sure you’re one of the first to find out when it is available to order.